Summer in a bowl. 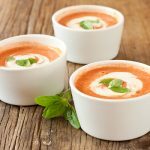 Our Farmer’s Market is on Thursday afternoons, so I might head out today and choose some fat organic tomatoes, a bell pepper, and a bunch of fragrant basil to make this tomato-basil soup in a few minutes. The key to this soup is uber-ripe, local, organic produce. The flavored olive oil and touch of vinegar makes the flavors sing! Today’s post is part of our mission to help you rebuild your health through food and lifestyle choices. 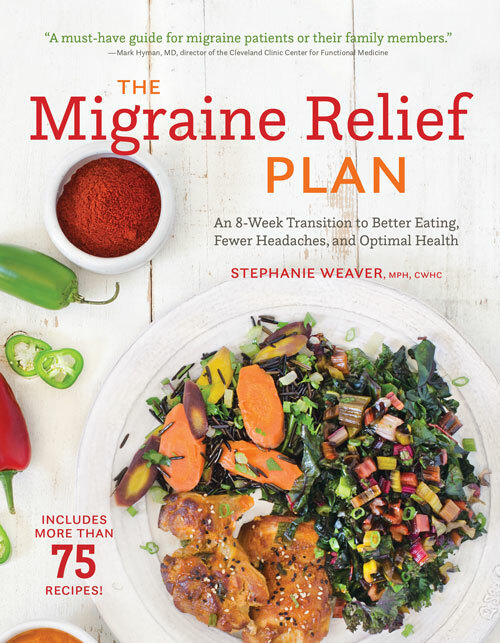 Look for posts on Mondays featuring gluten-free, sugar-free recipes made with healthy plant-based ingredients, Tempting Tuesday photos, Wednesday essays, and Flashback Fridays recipe posts. We support Meatless Monday. 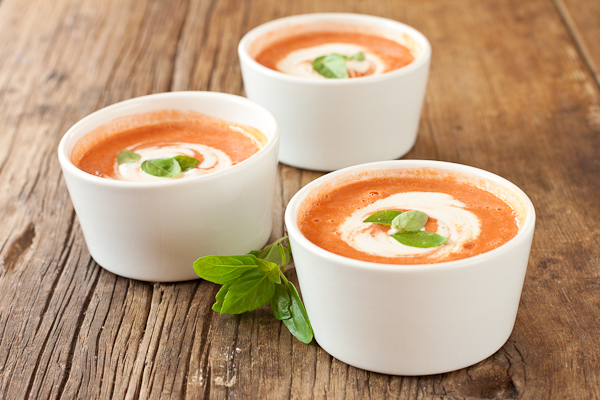 Summer in a bowl, this tomato-basil soup brings out the best of farmer's market produce. Wash and core the pepper. Wash and core the tomatoes. Put everything in the blender and blend until smooth. I reserved a few small basil leaves to garnish the soup. If desired, serve with a dollop of cashew yogurt or your favorite plain yogurt. You can use any kind of tomatoes, just be aware that they will affect the color of the soup. If you happen to have yellow tomatoes, choose a yellow or orange pepper and then finely mince the basil and stir it in by hand to create a prettier color. If you don't have white balsamic vinegar, try apple cider vinegar or sherry vinegar. If you don't have citrus-flavored olive oil, add some lemon zest and a squeeze of lemon juice.